Designer Sebastian Blakeley using old saddles to create either a work station stool, bar stool or kitchen stool. Designer Sebastian Blakeley, the feet have been modified to make it easier for heeled shoes. This sculptural stool inspired by an evening in the house of artists, Judy Buxton and Jeremy Annear, is a play on using up-cycled saddles in a tangential context. 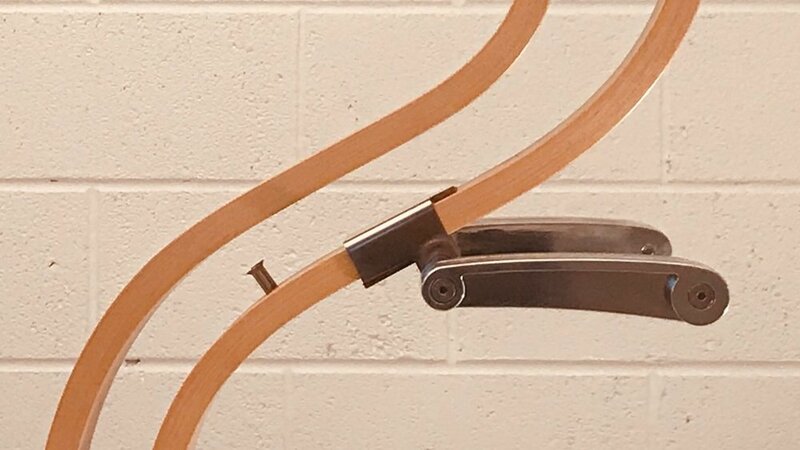 The spring in the laminated legs allows oscillation of the saddle. Coincidentally full filling the need to address alternative seating that encourages good posture. The materials can be tailored, within reason, to allow clients their own signature. Choice of saddle to clients wishes with selected northern hemisphere sustainable hardwoods. Clients are welcome to provide their own favourite disused saddle for up cycling.